Experience 8 new luxe shades with our ibd Just Gel Polish Imperial Affair 24pc display. This display is perfect for presenting ibd’s latest seasonal collection. 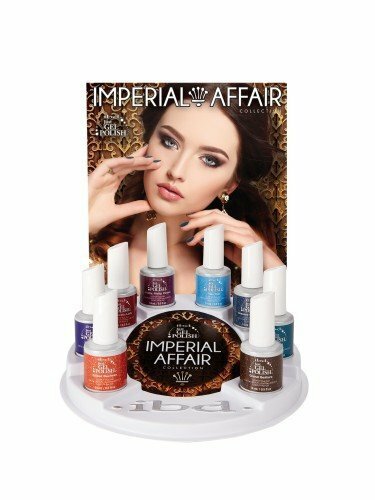 Display includes; 24 ibd Imperial Affair Just Gel Polishes, including Gilded Duchess, I Am Royal, Aristocratic Lady, Pretty, Pretty, Please, Tisk,Tisk, Dressed To Empress, High Sass and Grand Gesture.